The 2014 OGKC final championship results are available at the following link: 2014 OGKC Overall Standings If you see any errors, omissions, or spelling mistakes, please let us know! There is a tab on the spreadsheet for each class. 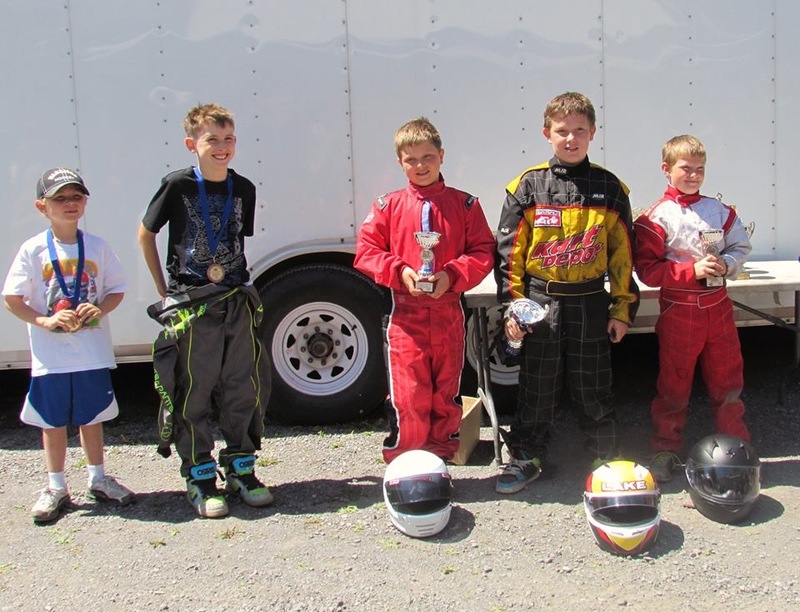 The top three racers in each class for the 2014 series are: Novice: 1st – Ashton Lake; 2nd – Jake McNeeley; 3rd – Kaleb Smith Junior: 1st – Owen Clarke; 2nd – Vincent Lamothe; 3rd – Paul Hoffman Senior: 1st – Charlotte Lalonde; 2nd – Miles Smith; 3rd – Brandon Stephens Masters: 1st – Phil Hall; 2nd – Mike Forget; 3rd – Crawford Kilpatrick Congratulations to all of the OGKC’ers for a fantastic 2014 season! See you back in 2015! 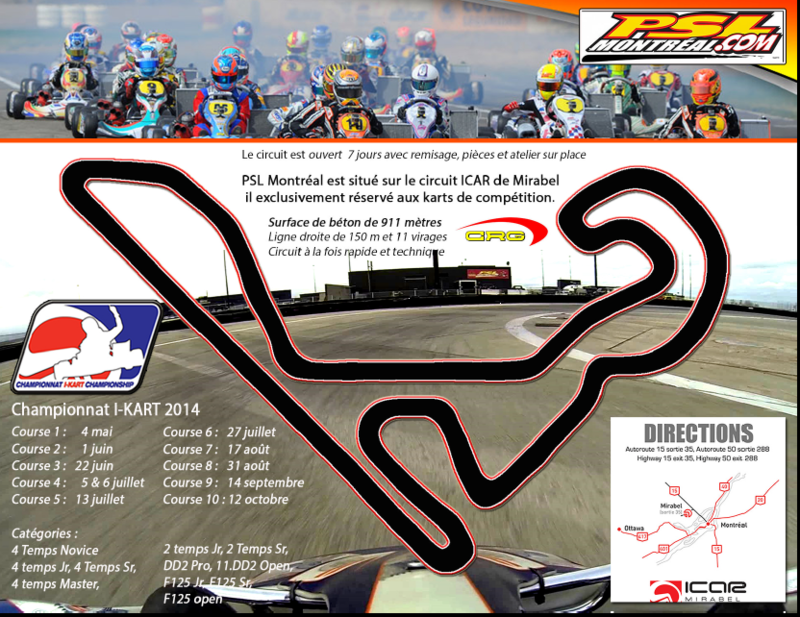 (Mirabel, QC) The 2014 Ottawa-Gatineau Kart Championship (OGKC) held its second ‘away’ race of the series, this time at Circuit ICAR (PSL – Montréal) in Mirabel, QC. This was as close to a large-scale race weekend as many of the racers have ever experienced, due to the activity related to the NASCAR Canadian Tire Jiffy Lube 100 race being held at the main track at Circuit ICAR on the same weekend. Transporters, media, track officials, exotic supercars, and NASCAR Canadian Tire drivers were all present at the facility, and special events were being held at the ICAR Experience Centre as well as at the ICAR Karting Centre. The weather was perfect, making for an extremely exciting and enjoyable weekend! The circuit that was raced at ICAR was the PSL – Montréal track, a high-speed concrete-surfaced circuit composed of several flat-out sections, including a straight with a length of over 150 metres. The track has a couple of major braking areas, with the remainder being medium to high-speed corners. The track was raced in a counter-clockwise direction. 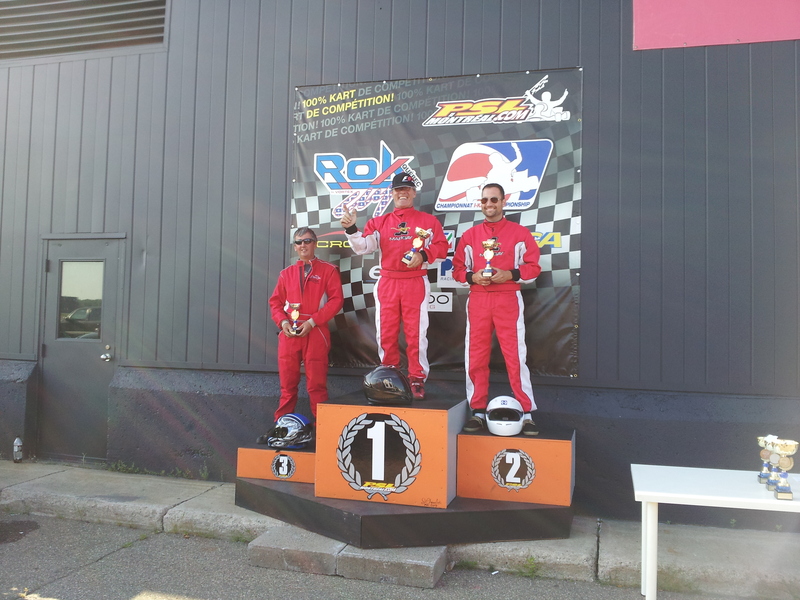 Congratulations to all of the racers that made the podium, and a big thank you to everyone that made the trip down AutoRoute 50 to experience the ICAR/PSL Karting race track in Mirabel. It was a great weekend! 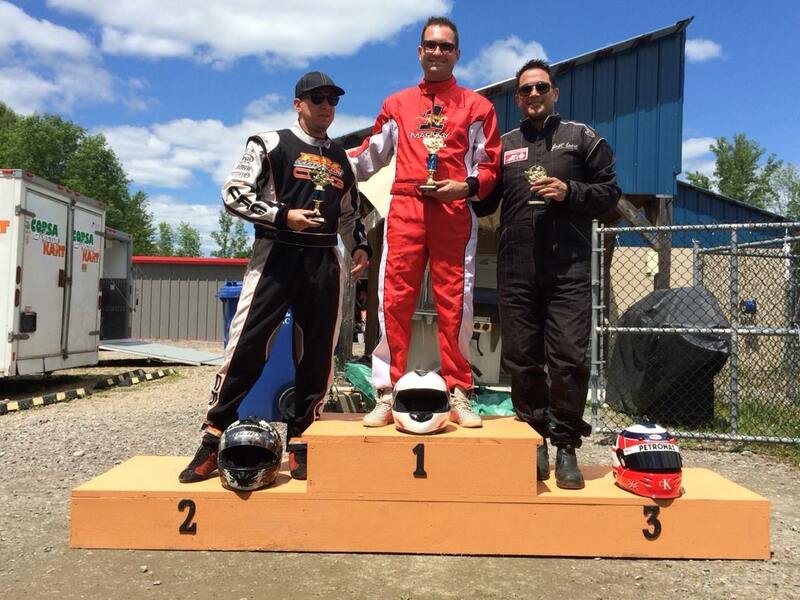 Thanks to Louis-Philippe Gelinas for hosting the OGKC at the PSL Karting facility, to all of the track officials and volunteers that contributed to the success of the weekend, and hopefully there will be more inter-club races in the future! 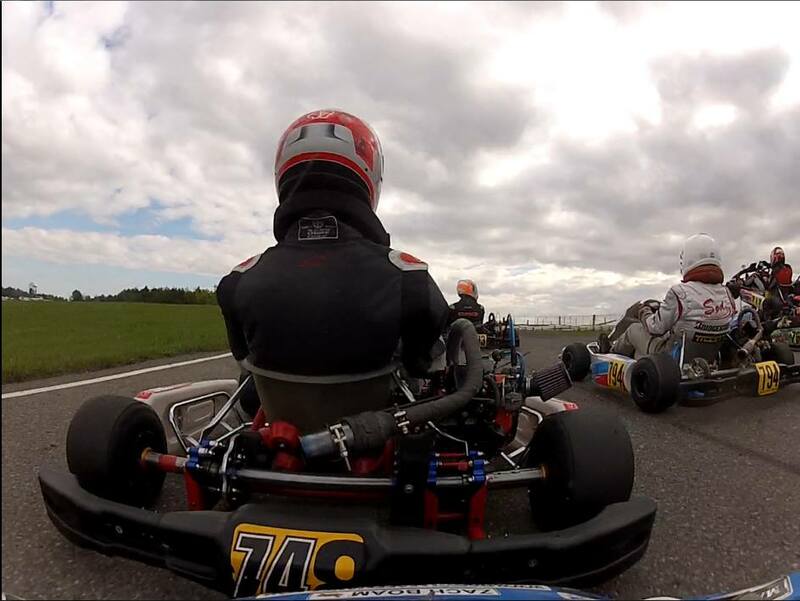 See you July 19th and 20th at Le Circuit Quyon for Races #6 and #7 (doubleheader weekend) of the OGKC – online registration will be available one week prior to the event. 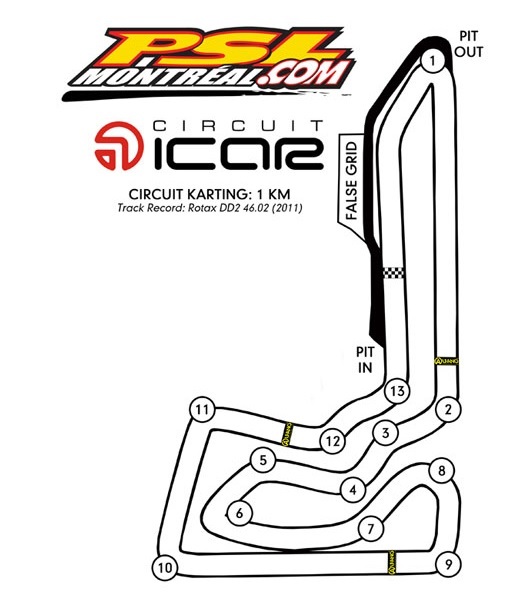 Information is available below regarding OGKC Race #5 scheduled for this Saturday, July 5th at PSL Karting Montreal’s ICAR track at Mirabel. For Saturday’s race, OGKC racers are to follow our existing rules and technical requirements! For Sunday’s race, which is optional, you will need to follow PSL Karting’s requirements outlined in the attachments below. Here is a diagram of the track layout. Online registration has been taken down by PSL due to technical issues. Registration will be at PSL MTL. 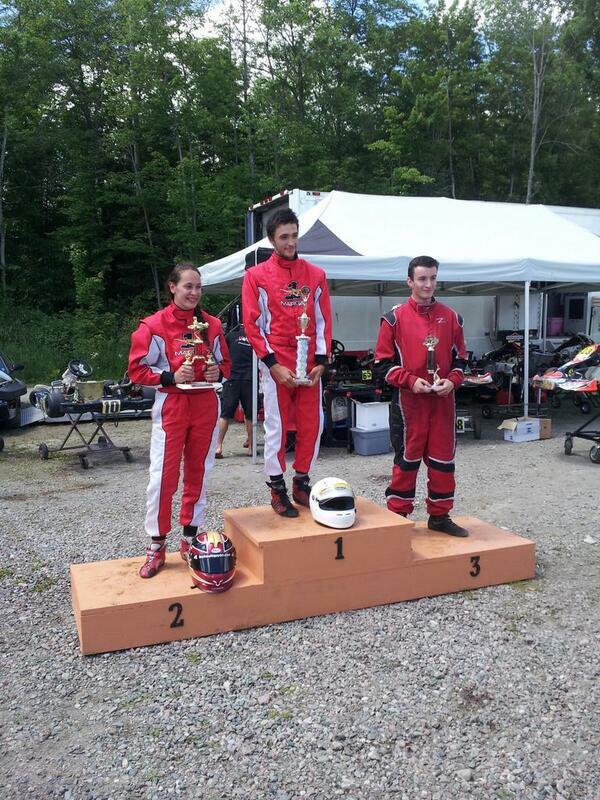 (Quyon, QC) Another fantastic weekend of kart racing at Le Circuit Quyon! The weather could not have been better – hot and sunny on both race days! Thanks to everyone that participated in the OGKC double header; twenty-five racers made it to the track for Saturday’s race, and twenty-eight made it out on Sunday. The more competitors, the better the racing! A big thank you must go out to all of the friends and family of the racers that made the trip to Quyon this weekend to watch the fierce competition – your support and contribution to the success of the OGKC series is greatly appreciated! Congratulations to all of the racers that made the podium, and a big thank you to everyone that participated in making our double-header weekend a great success. Special thanks to Race Director Jason Bolton and the track marshals and volunteers for working throughout the weekend to keep the racers safe and sound during the double-header. 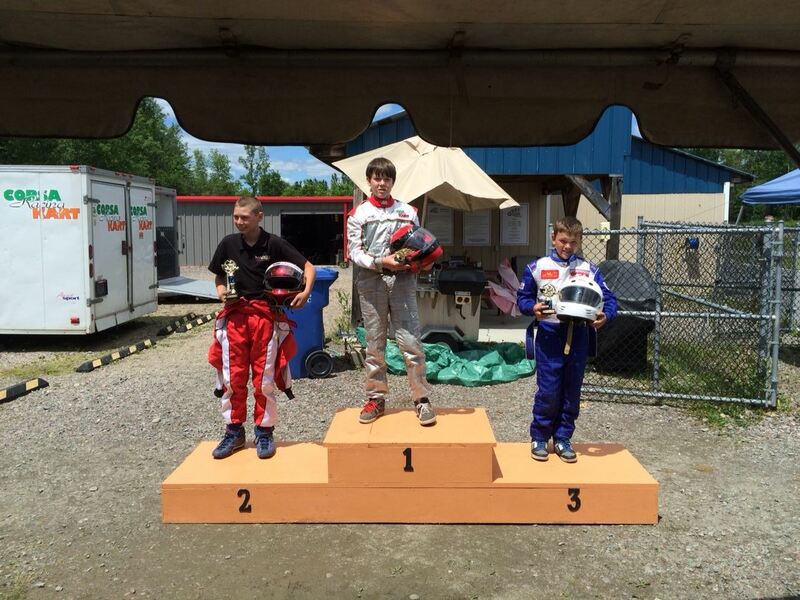 Karting continues to grow in popularity in Canada’s Capital Region, and this weekend was a very positive sign of a bright future. 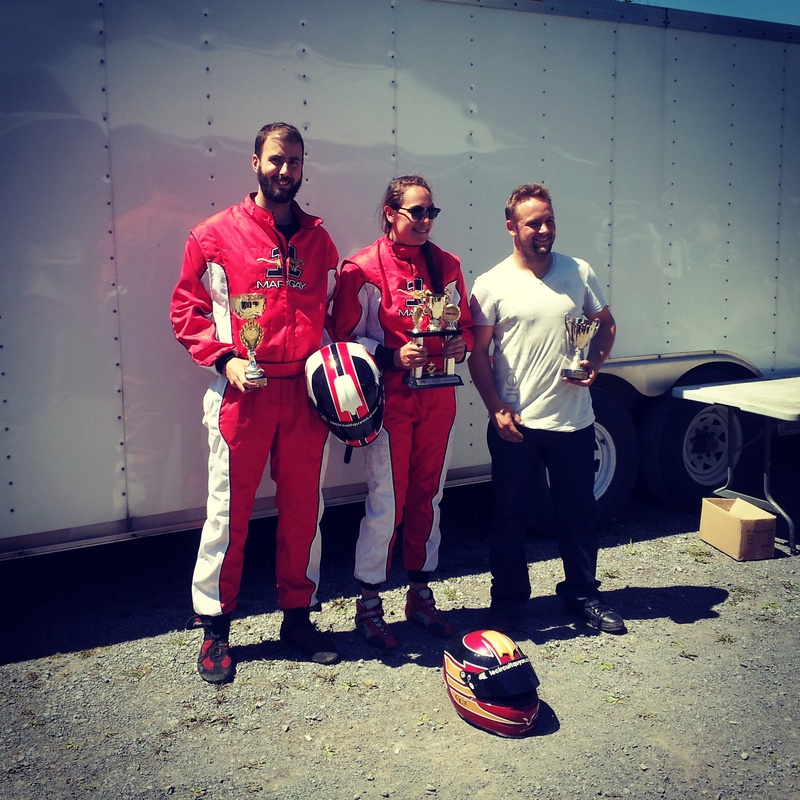 See you at the next big OGKC race day – Sunday, July 6th at Circuit ICAR in Mirabel, QC for the interclub race with PSL Montréal Karting Club. We hope to see you there! It will DEFINITELY be a great race! More details on the event will be posted as it becomes available. The Quyon Ferry is now open and running a regular schedule. More information is available at the Quyon Ferry website. 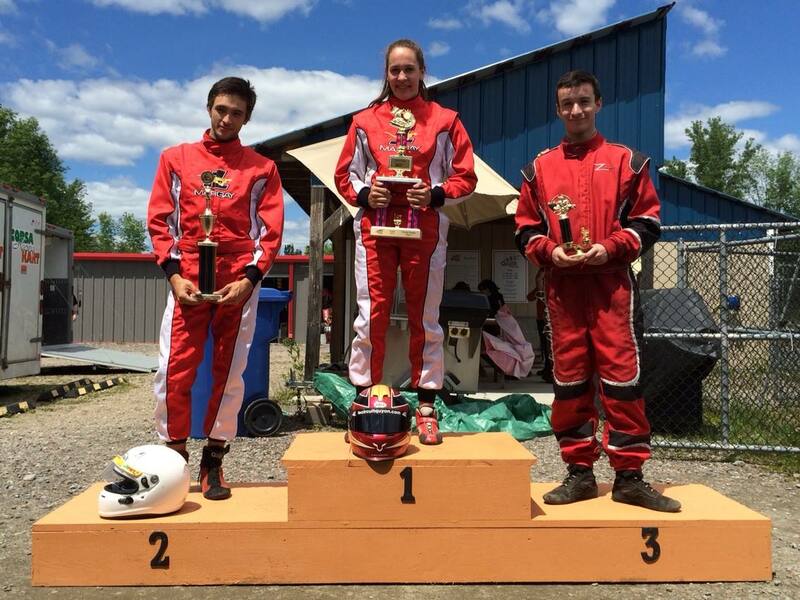 (Stittsville, ON) – Team Le Circuit Quyon (LCQ) had a fantastic weekend at Round #2 of the Ottawa-Gatineau Karting Championship (OGKC), taking the top step of the podium in two of the four classes, with two second places to add to the tally! Practice was held on Saturday, May 31st with race day starting early on Sunday, June 1st. Race-day temperatures were in the mid to high 20’s, with clear blue skies. Team LCQ managed to put on a great show, finishing with some great results, and continues to be in the hunt in several classes for top spot in the overall championship. The action on the track was fast and entertaining, with the Karters Korner venue providing several medium and high-speed corners for the racers to navigate, linked with a long back straight. 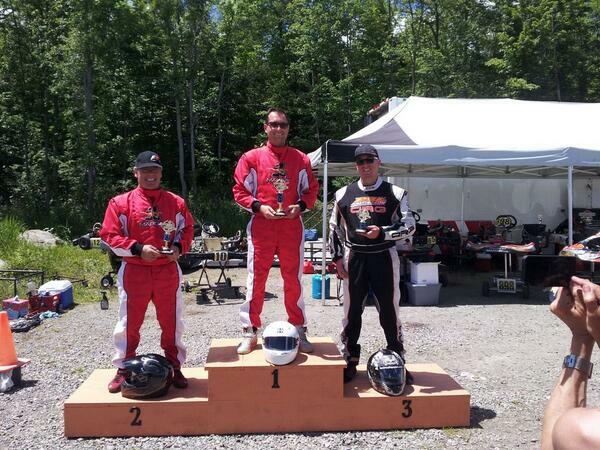 There were over 30 racers participating in four competitive classes, with a particularly large number of drivers in the Briggs & Stratton Senior and Masters classes, which had 10 and 12 racers respectively! 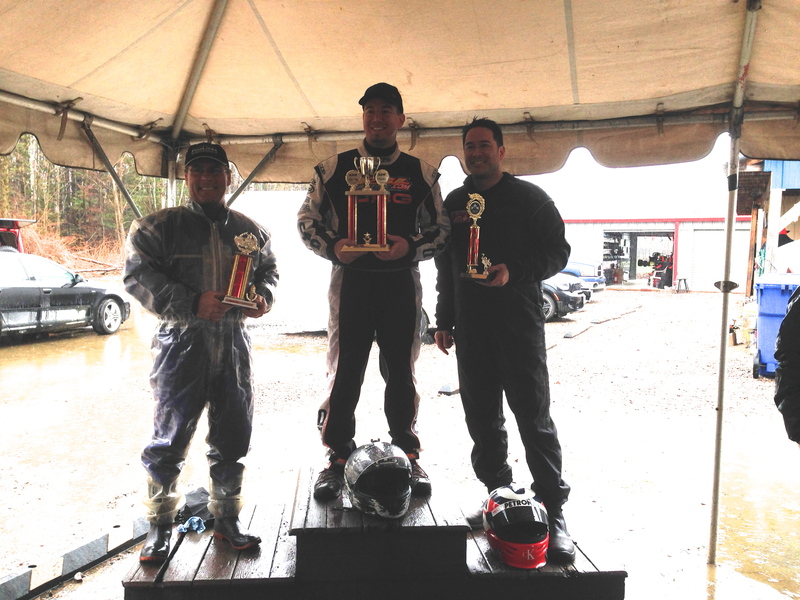 The official classes raced were: Novice, Briggs & Stratton Junior, Briggs & Stratton Senior, and Briggs & Stratton Masters. Picture of the Masters to be added when available! Honourable mentions go to Team LCQ racers Phil Hall and Crawford Kilpatrick who fought hard in the battle for third in the Masters category, and ended up finishing just off the podium in 4th and 5th positions respectively. Congratulations to all of the racers that made the podium, and a big thank you to everyone that participated in making Round #2 of the OGKC such a huge success – building off of the great turnout at Round #1 that was held at Le Circuit Quyon. Last but not least, thanks to Race Director Jason Bolton and the track marshals for keeping the peace in the pit lane, as well as working throughout the day to keep the racers safe and sound during the event! 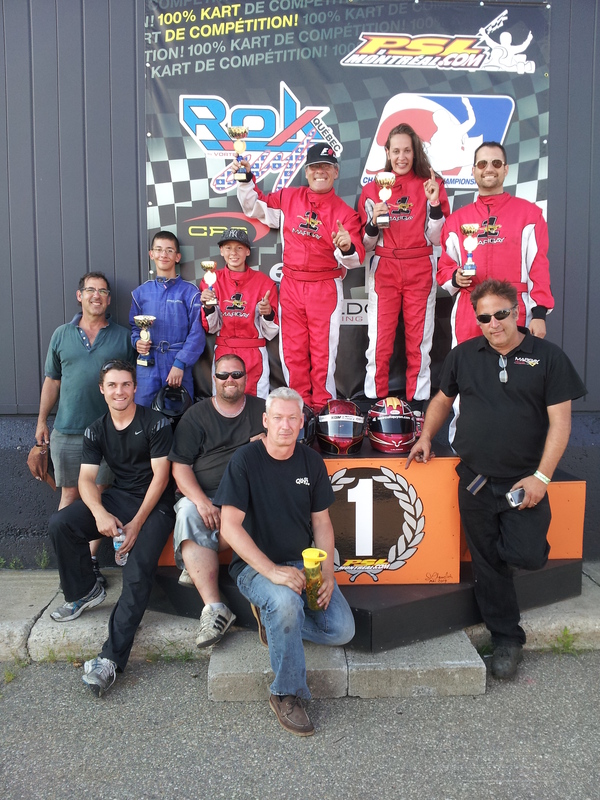 As clearly demonstrated by the first two rounds of the OGKC, karting is continuing to grow in popularity in Canada’s Capital Region. The great participation in Round #2 of the OGKC shows a positive trend and is a sure sign of great things to come in the future. See you June 21st and 22nd at Le Circuit Quyon for Round #3 (doubleheader weekend) of the OGKC – online registration will be available one week prior to the event. 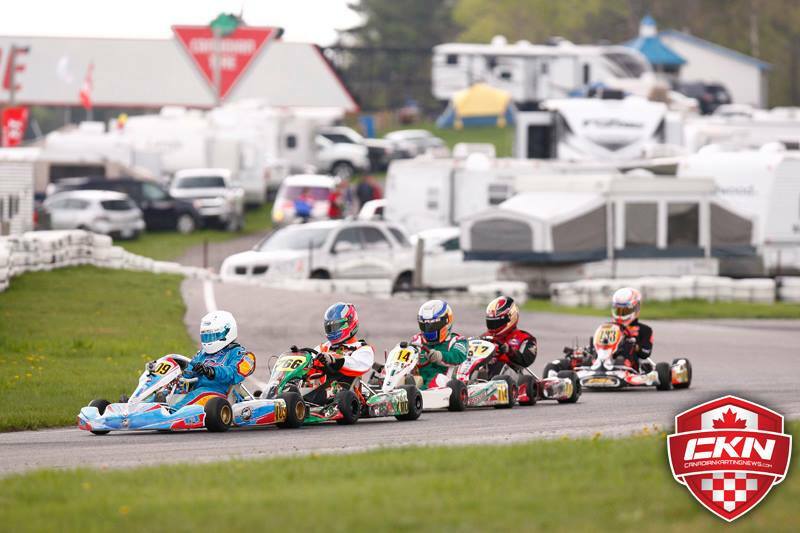 (Bowmanville, ON) – Several members of Team Le Circuit Quyon (LCQ) made the trip to Canadian Tire Motorsports Park (formerly Mosport) Karting Centre for Round #1 of the 2014 Eastern Canadian Karting Championship (ECKC) held on May 17th & 18th. 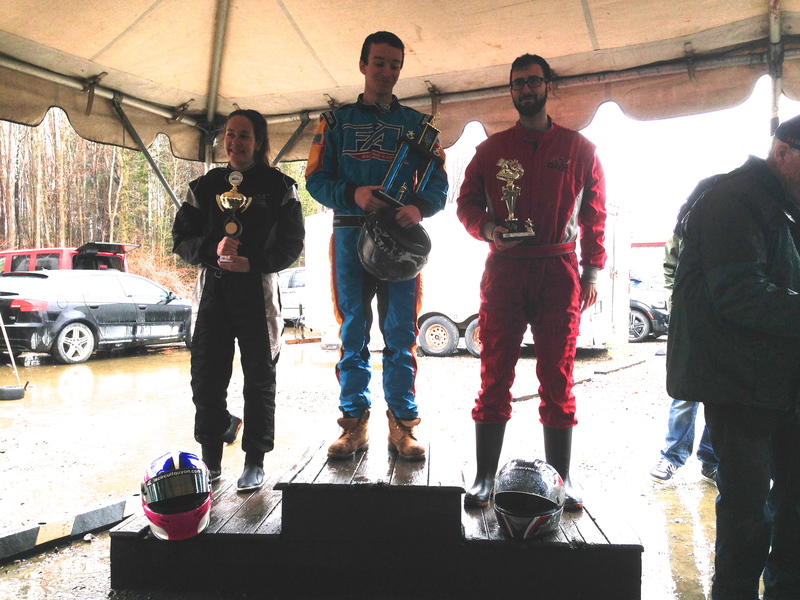 LCQ was represented by Charlotte and William Lalonde (both in Briggs Senior), Mike Forget (Briggs Masters), and Michael Forget (Rotax Senior). 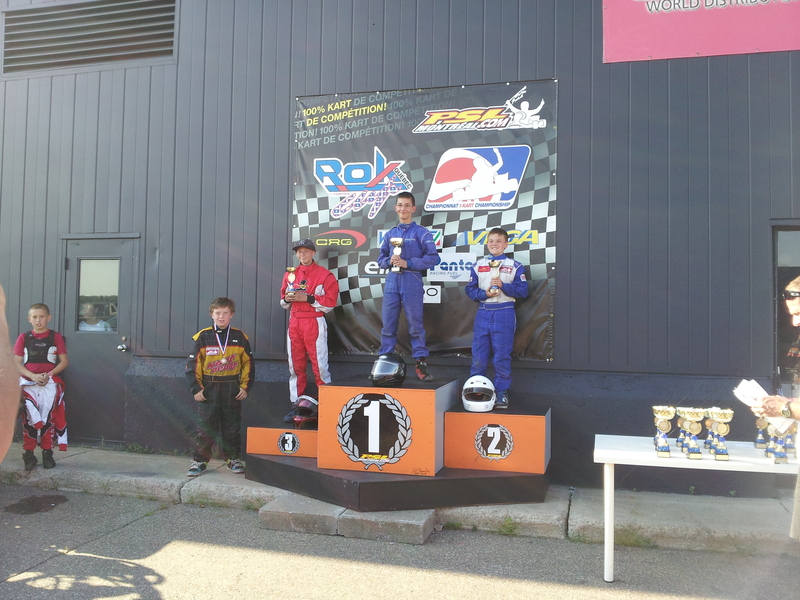 LCQ drivers were racing with Margay Racing karts, except for William Lalonde who was racing his CRG. On day one, the Briggs Senior class was composed of 25 racers all ready for some hot karting action! In the qualifying heat, both Charlotte and William represented LCQ well by placing 7th and 10th respectively, with the top ten split by a mere 0.6 seconds. 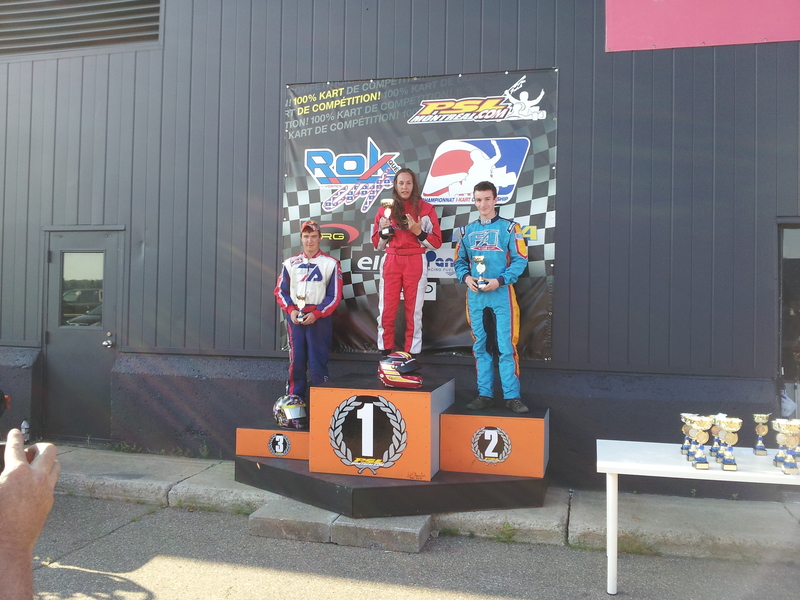 In the pre-final, Charlotte raced her Margay into an excellent 4th position at the line, behind Derek Michaud (FA Kart), Jonathan Treadwell (K&K), and Michael Glaze (TonyKart). William also had a strong result, ensuring a finishing position in the top ten. In the final, contact between racers at the front of the pack resulted in Charlotte unable to complete the race. William had a solid and consistent race, finishing 11th. 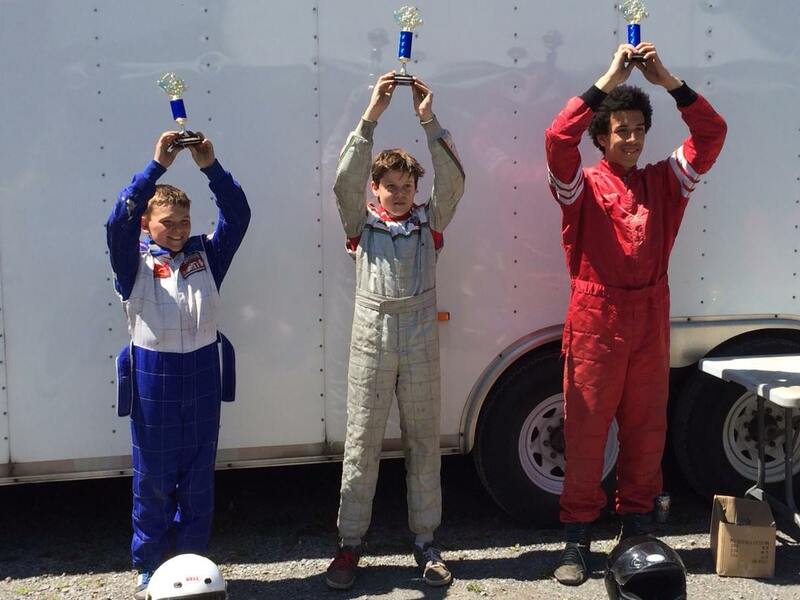 In the Briggs Masters class, 14 racers took to the track to fight for older-guy honours. Mike Forget showed excellent skill and experience by keeping his Margay near the front of the field over the course of the day, qualifying in 6th place and finishing the pre-final in 4th. 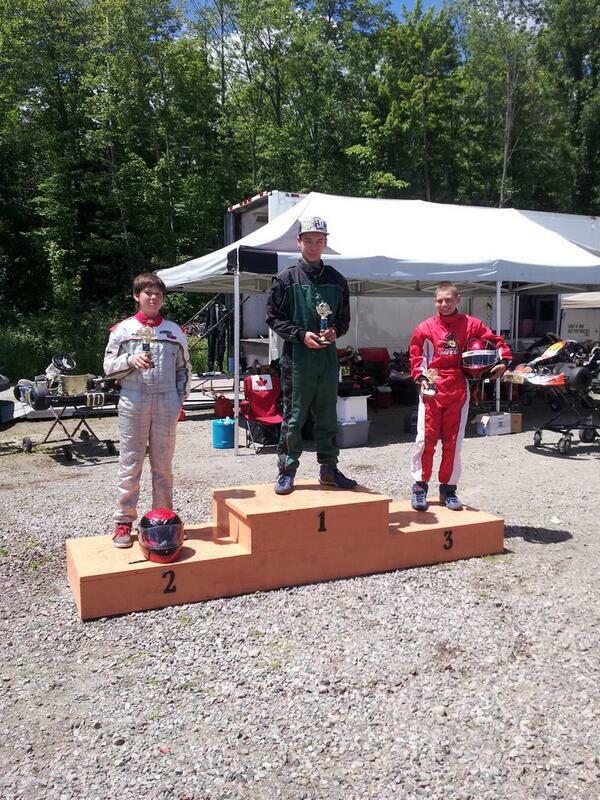 This is Mike’s first year in his new Margay chassis, and he has been showing great progress since the inaugural race of the 2014 Ottawa-Gatineau Karting Championship in early May. 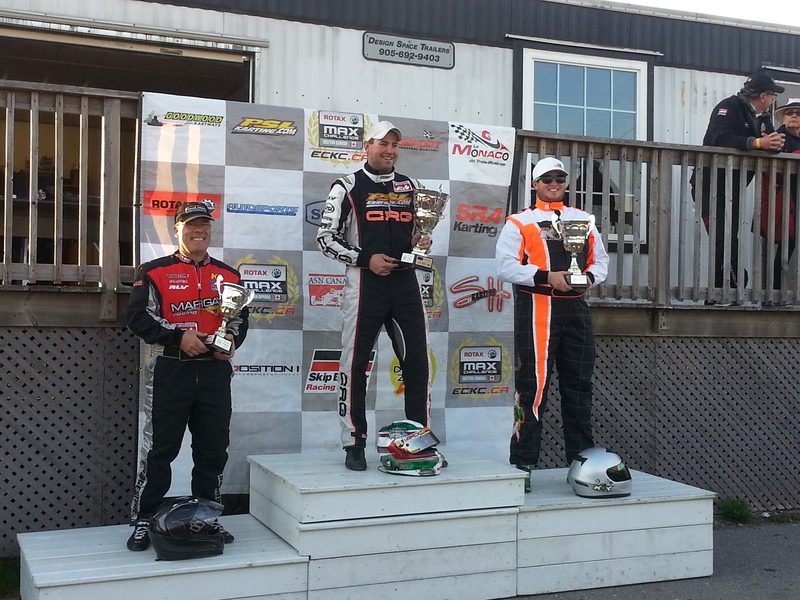 In the Masters final, Mike had a great race and was able to take the last step on the podium finishing third behind Corey Walsh (CRG) and Keith Barrick (K&K). 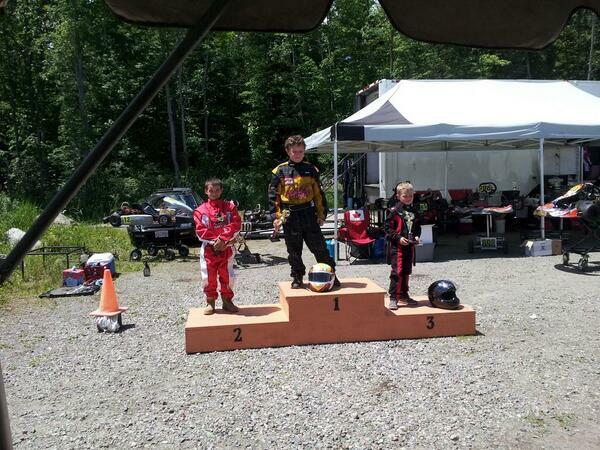 Michael Forget, racing in Rotax Senior, had a rough day and was unable to find the right set-up. and finished in 19th position from 30 racers in the class. Sunday was not as successful for Team LCQ, as both William and Charlotte were unable to crack the top ten in Briggs Senior qualifying, finishing in 14th and 15th respectively. In the pre-final, Charlotte made contact with another racer as she was making her way to the front of the pack, sending her all the way back to 19th position. William was able to climb to 13th, but couldn’t make any further headway. In the final, Charlotte raced all the way from the back to 13th position, only 3.2 seconds off of the lead by the end of the race. William suffered from a mechanical failure, and was unable to complete the race. Mike Forget had a strong second day of racing in the Masters category, but couldn’t quite match his results from day one. Mike managed to finish in 5th position in the pre-final, and slipped to 7th position out of 15 racers at the completion of the final. Mike’s combined results over the course of the weekend leave him in 3rd position overall after the first two races of the ECKC. Michael Forget, racing in Rotax Senior, had another tough day; however, he showed marked improvements over his results from day one and managed to finish in 15th position out of 28 racers in the final race, his best result of the weekend. Overall it was a weekend of mixed results for Team LCQ; however, we’ll be back in full force and hunting for wins at Round #2 of the ECKC series to be held June 28th & 29th at Goodwood Kartways just north of Toronto!